I showed this chart a few months back, but it is a good time to update it. 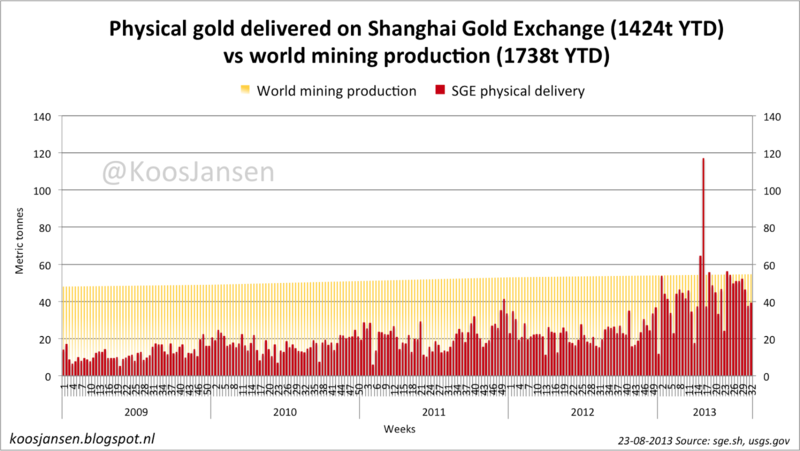 The yellow bars show world mining production and the red bars show the ounces delivered on the Shanghai Gold Exchange. 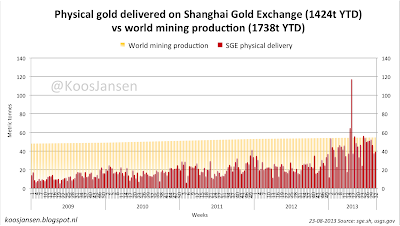 Just a small dislocation in the paper market is going to cause tremendous problems on the (U.S.) COMEX exchange, which will lead to Shanghai becoming the center of global gold trading. Physical prices will move violently to the upside during this chaotic period.